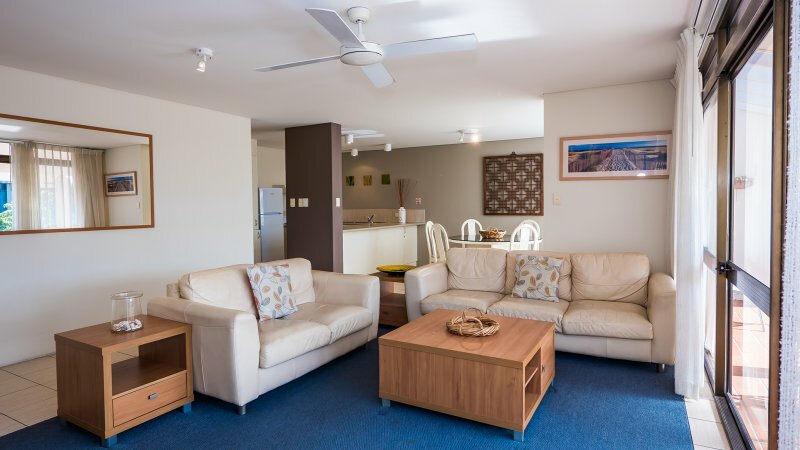 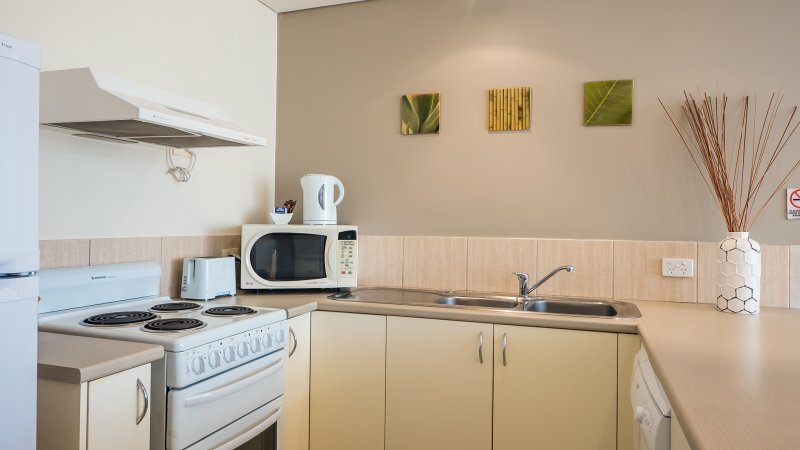 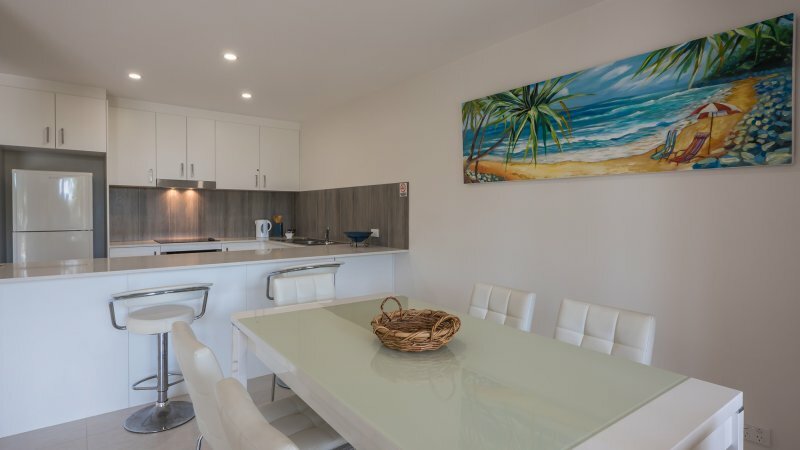 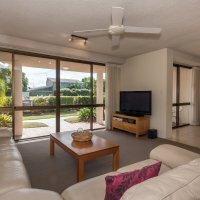 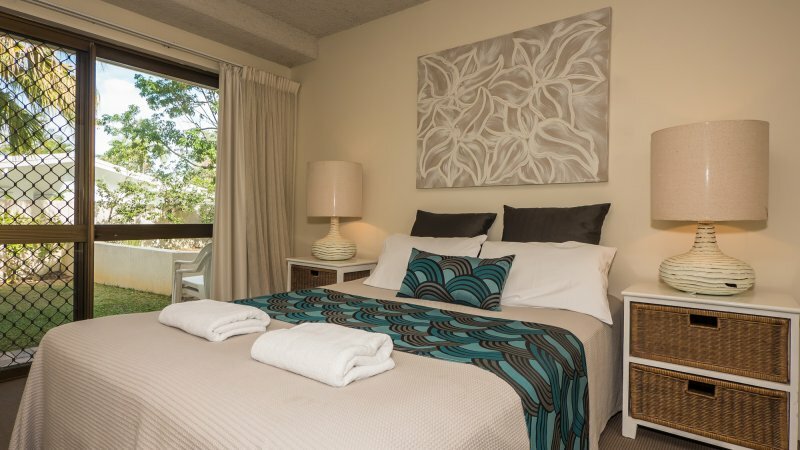 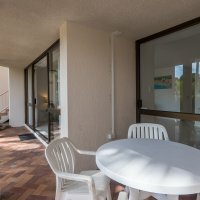 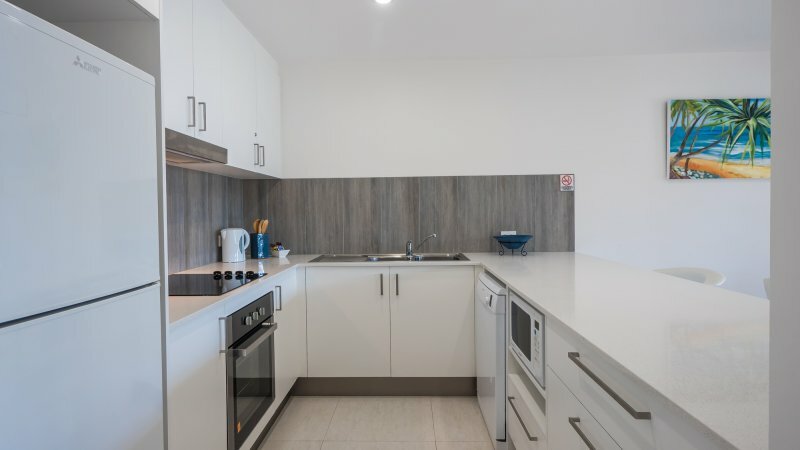 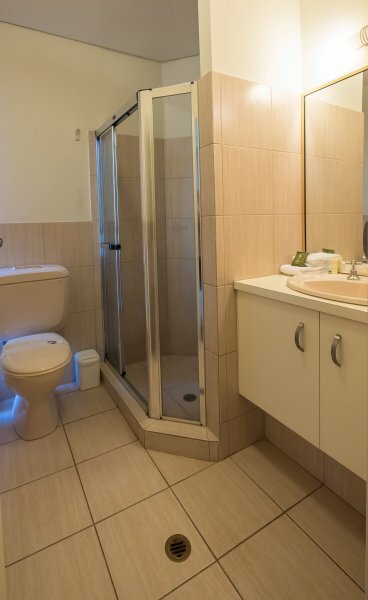 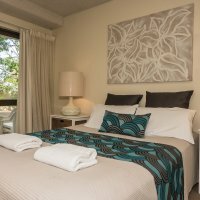 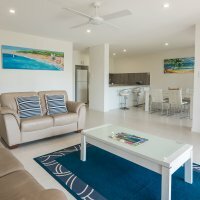 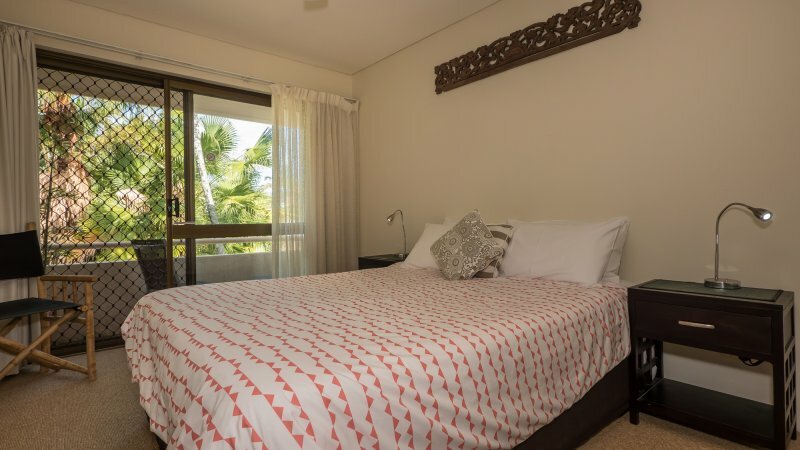 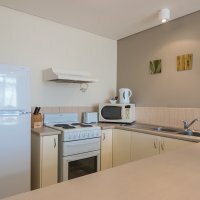 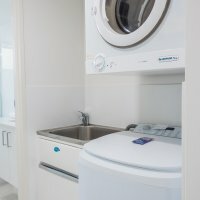 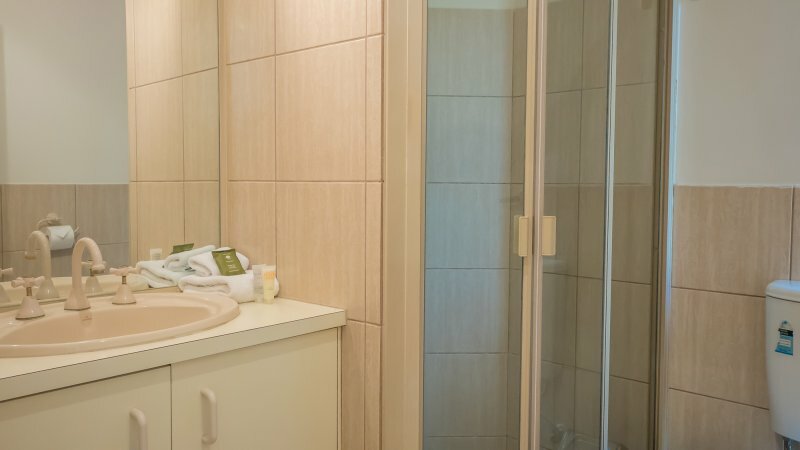 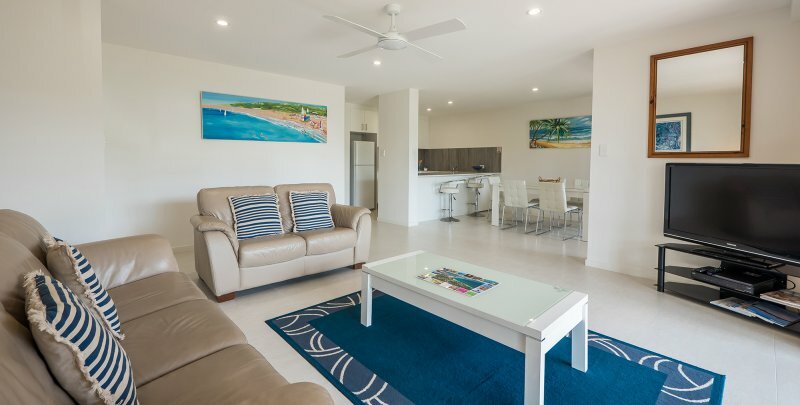 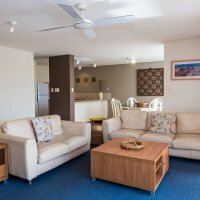 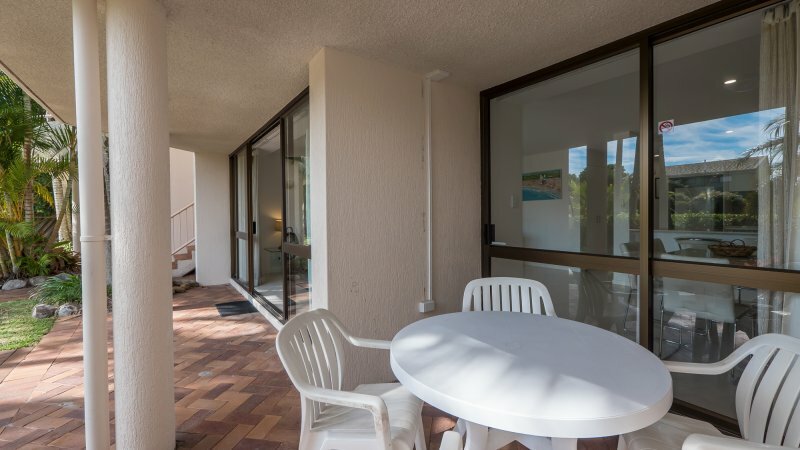 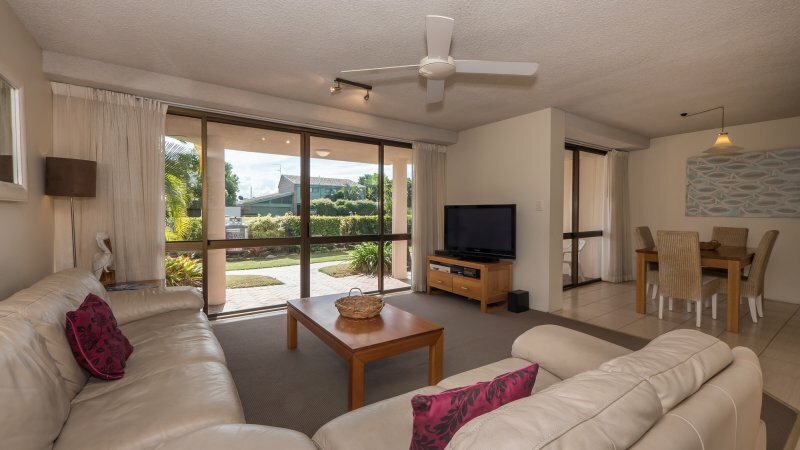 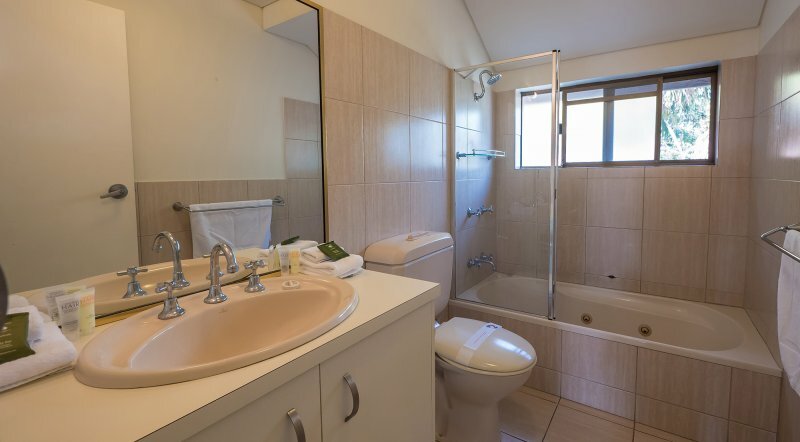 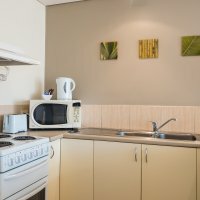 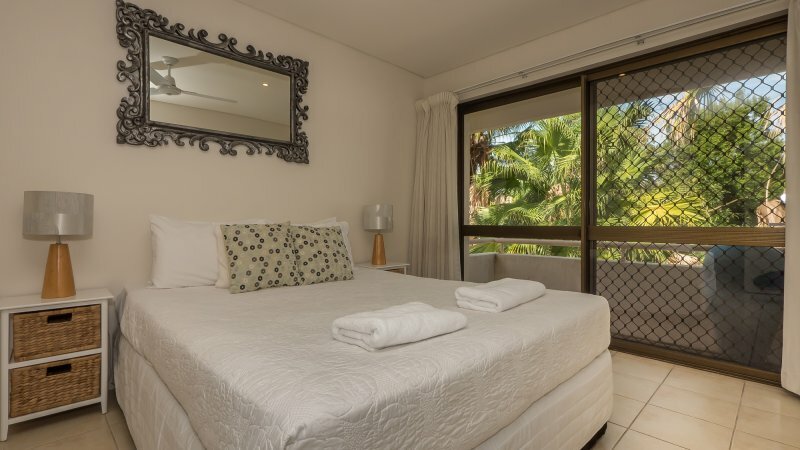 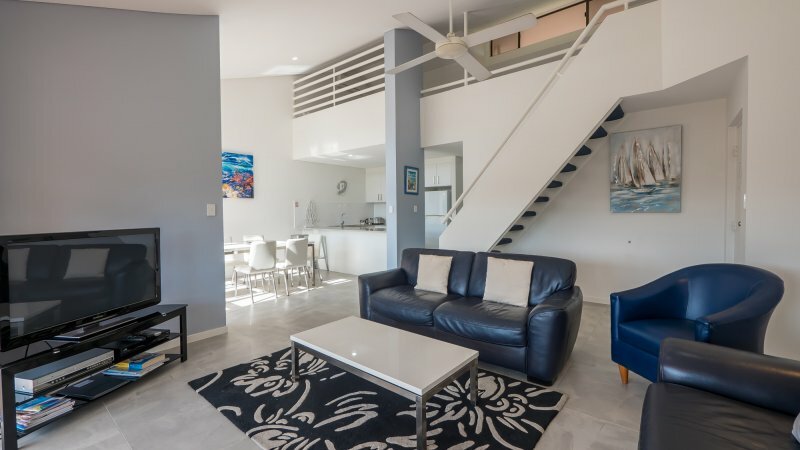 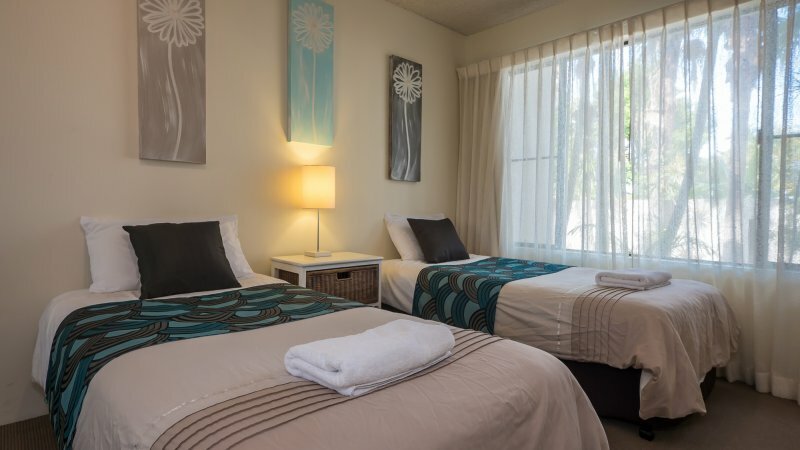 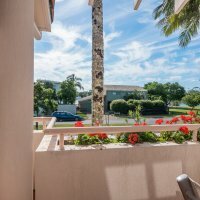 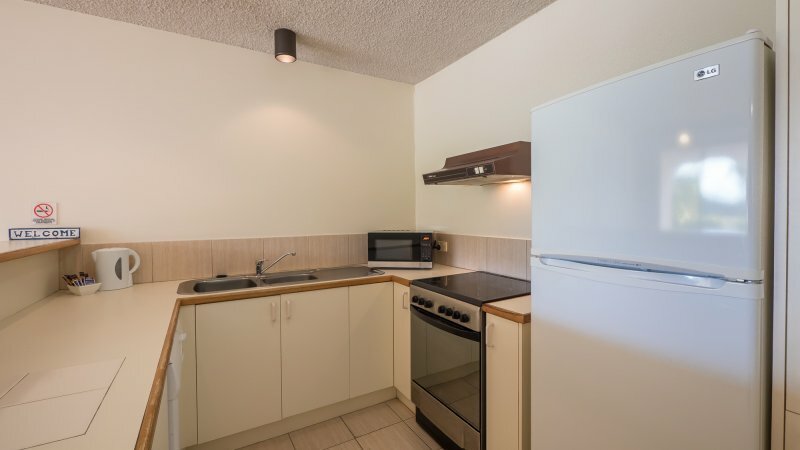 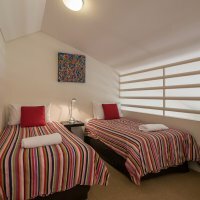 Choose to stay in one of our eight self-contained two and three bedroom holiday apartments and enjoy the space and comfort our resort has to offer. 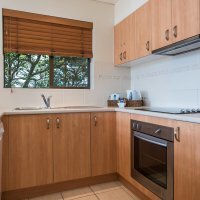 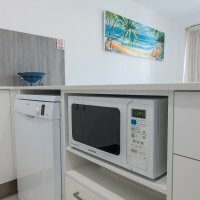 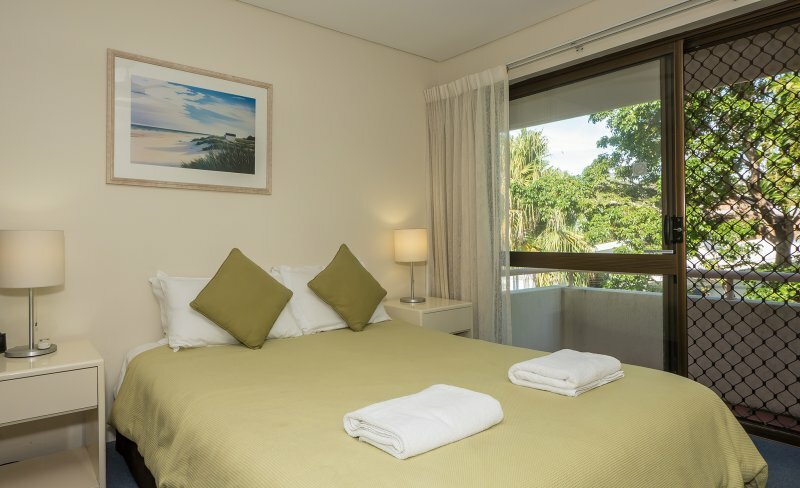 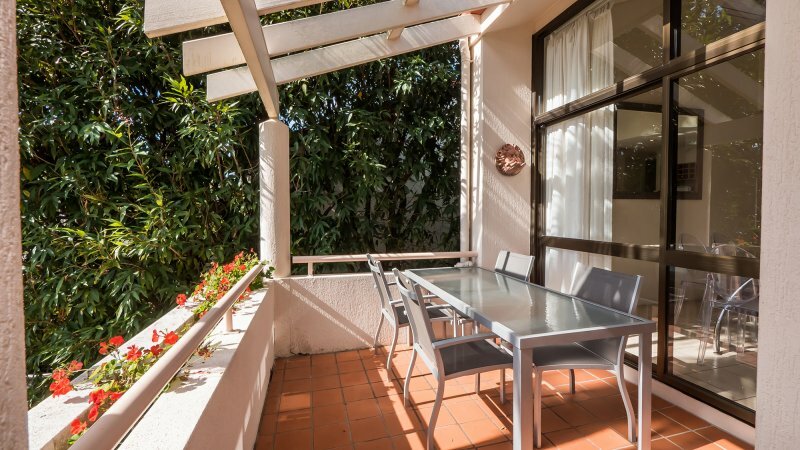 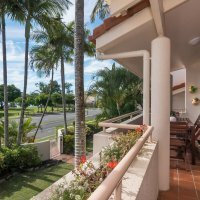 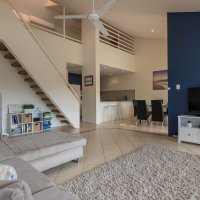 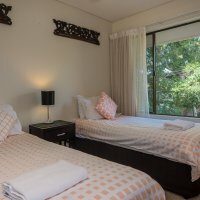 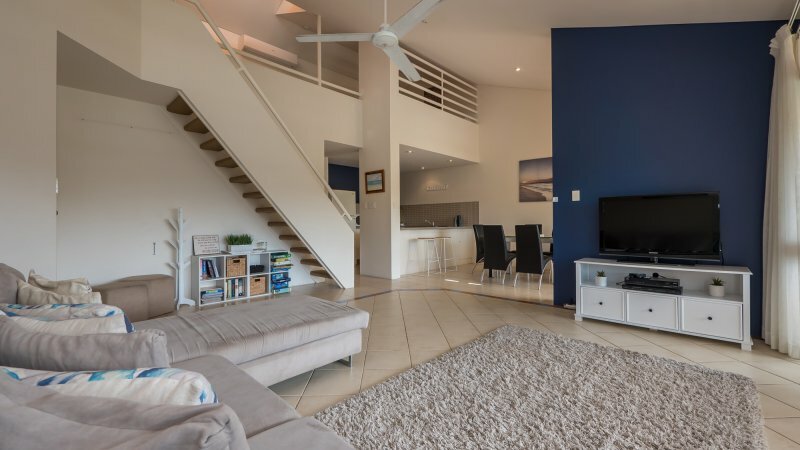 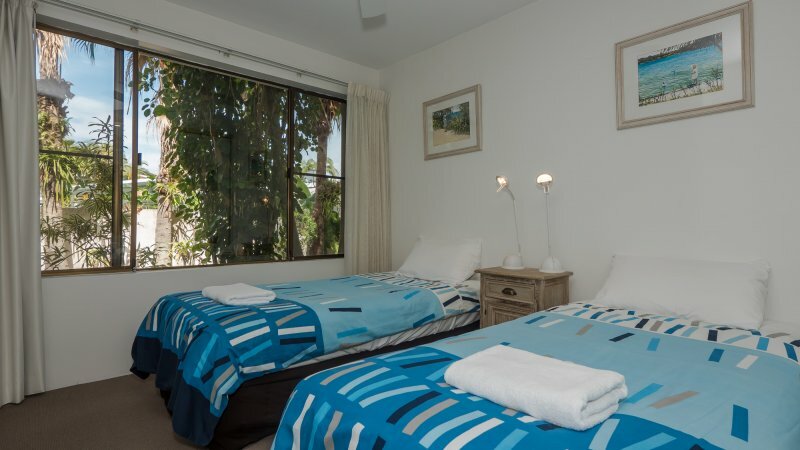 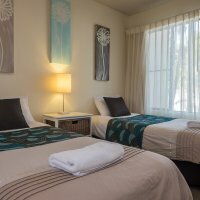 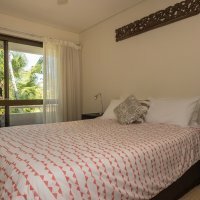 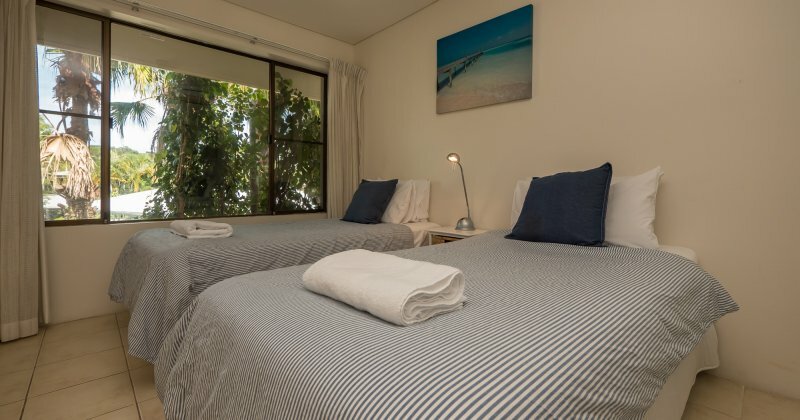 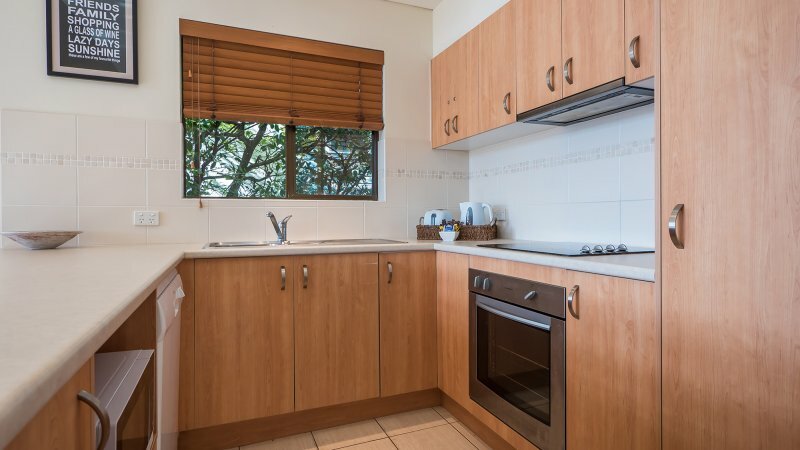 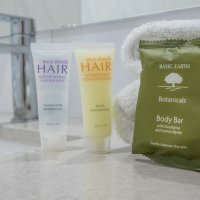 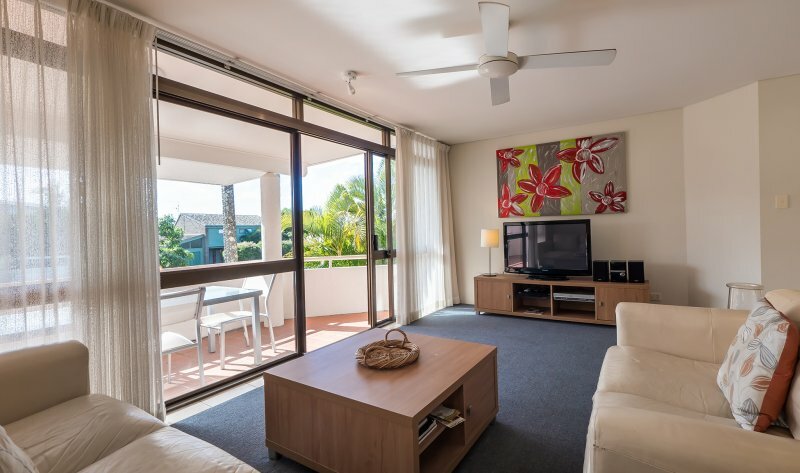 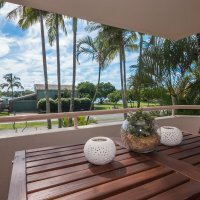 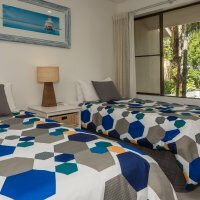 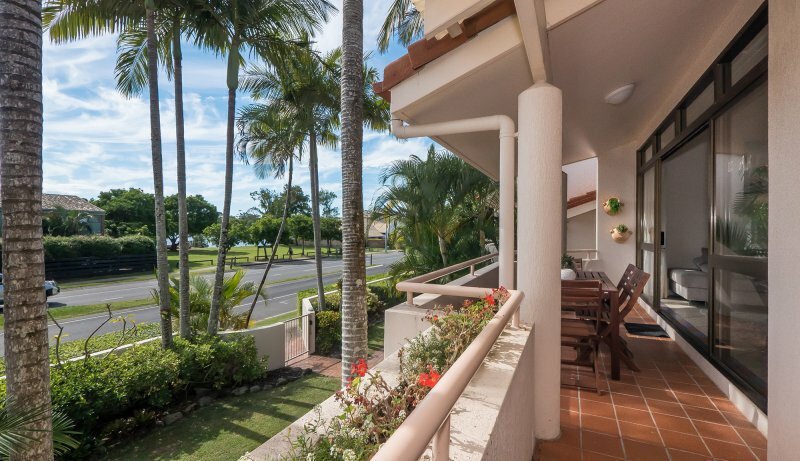 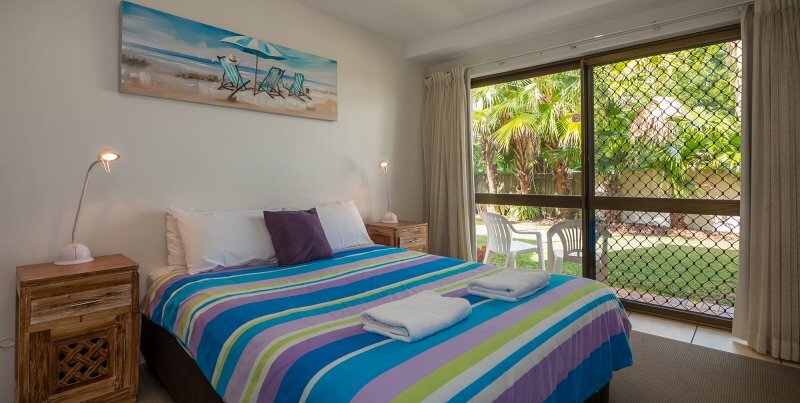 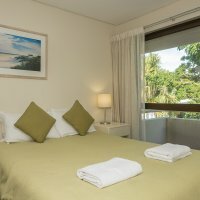 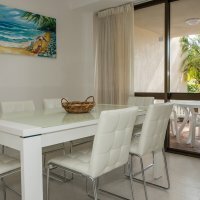 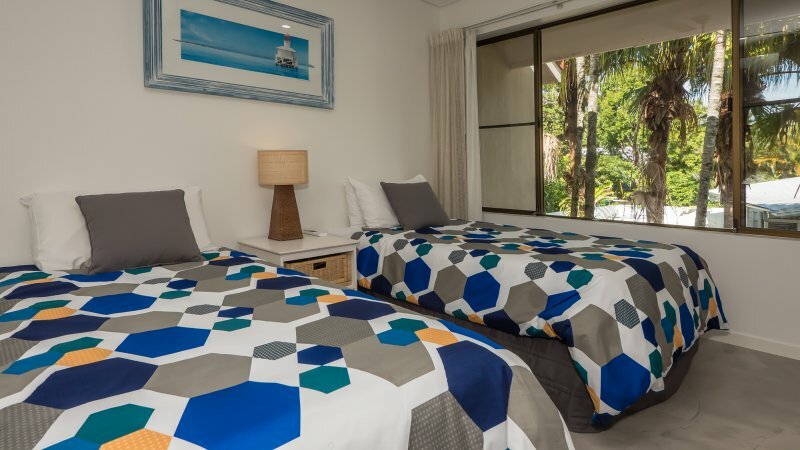 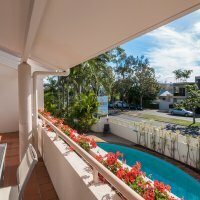 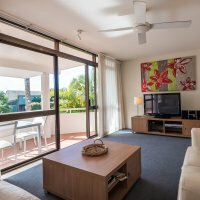 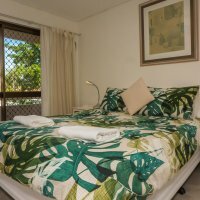 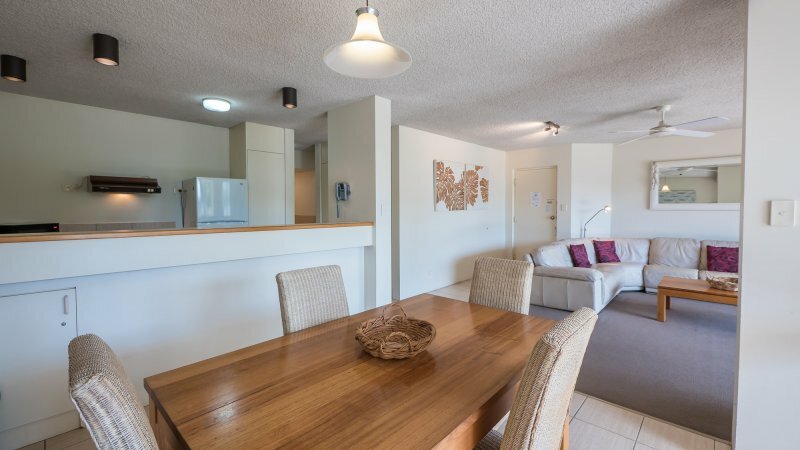 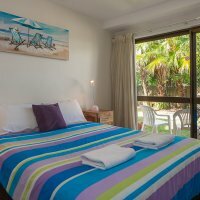 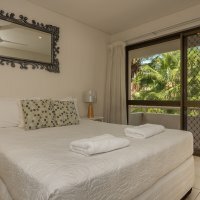 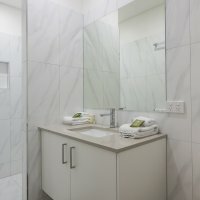 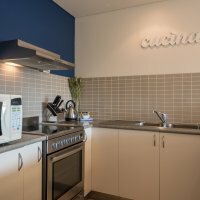 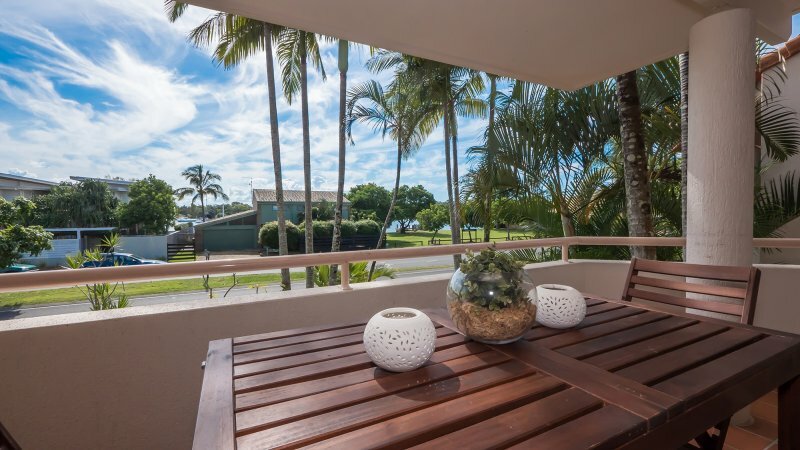 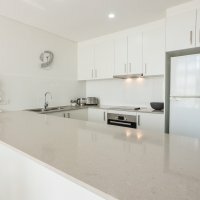 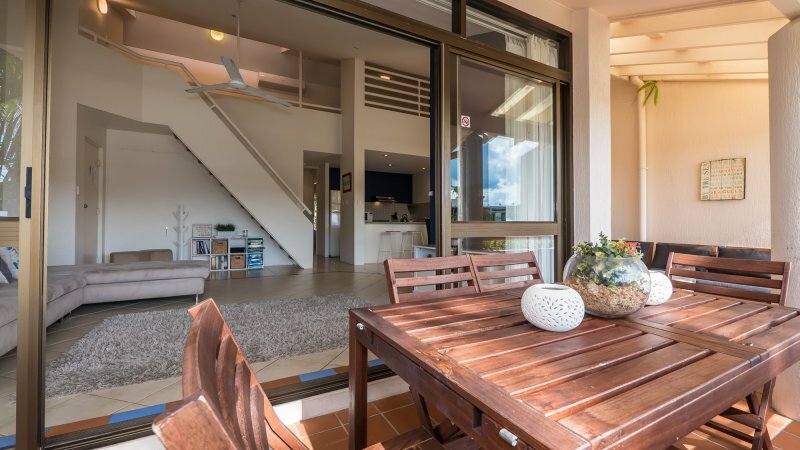 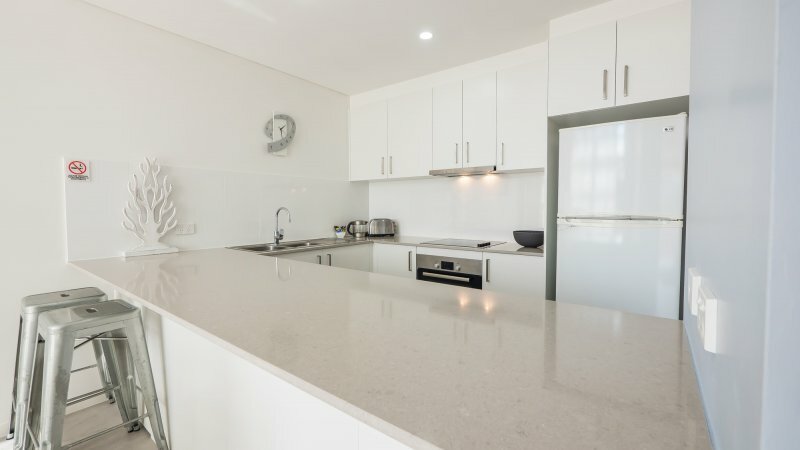 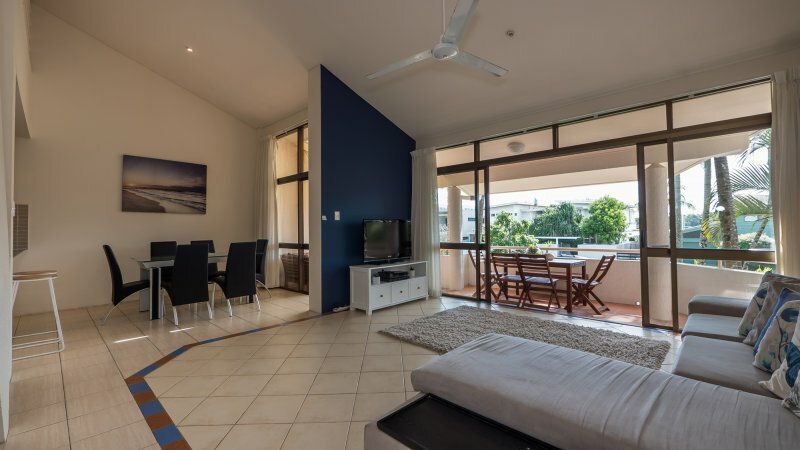 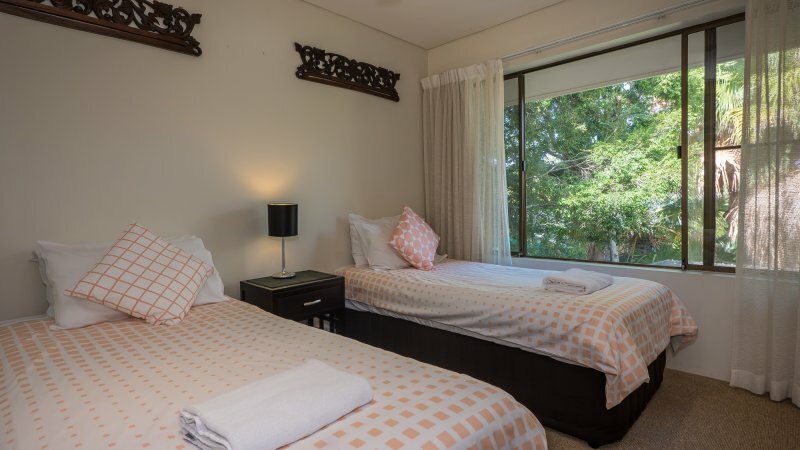 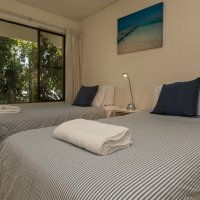 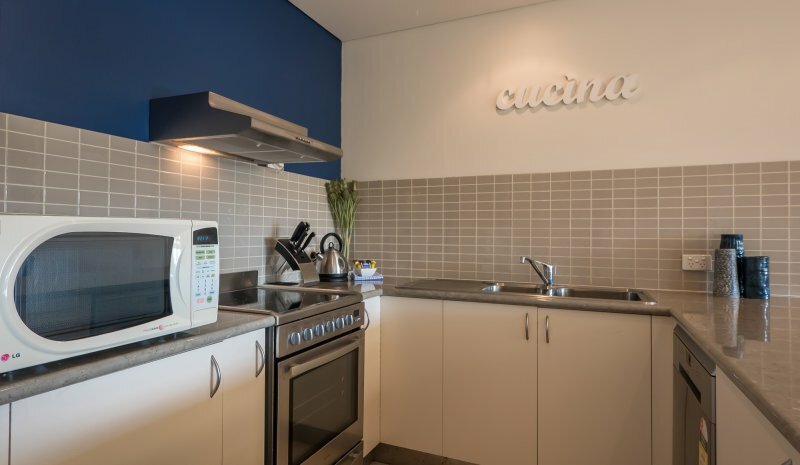 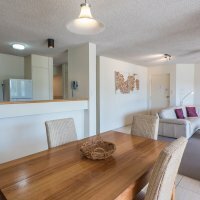 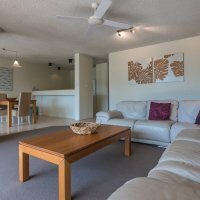 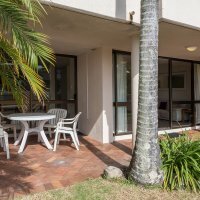 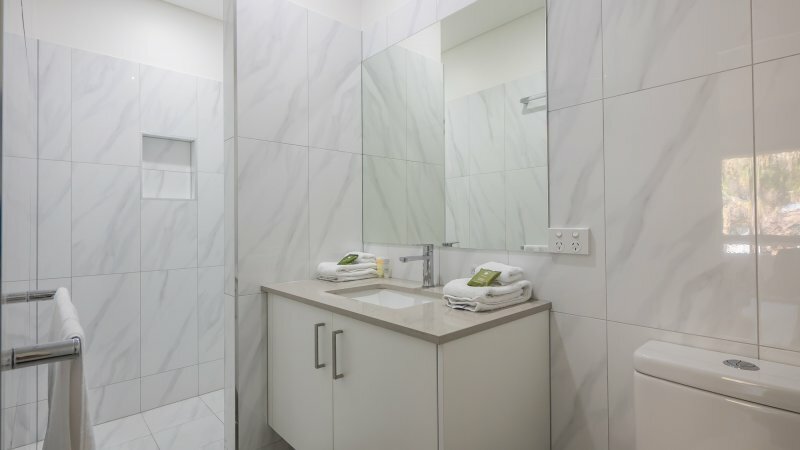 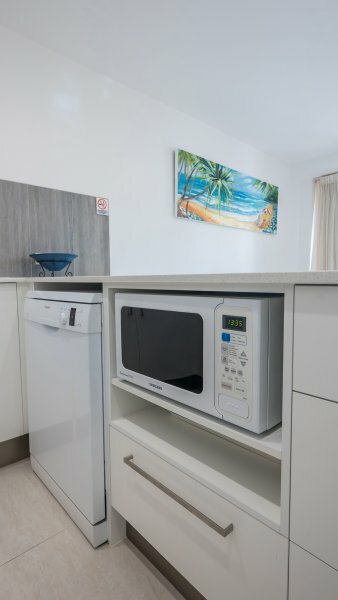 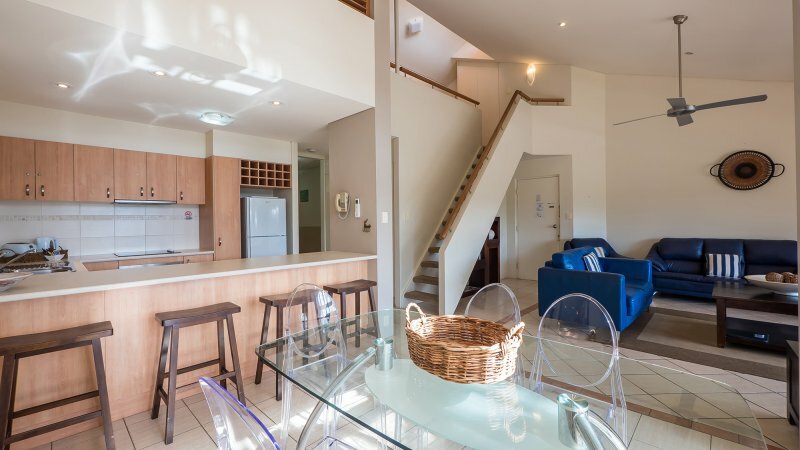 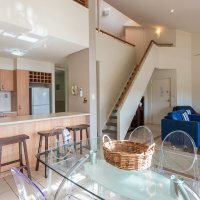 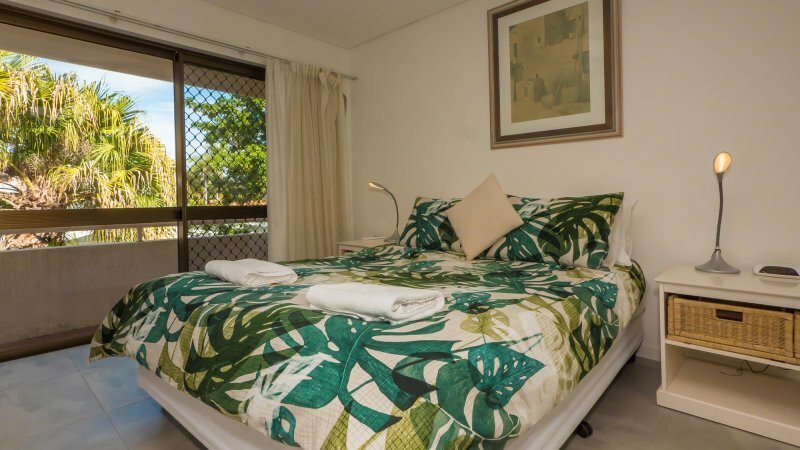 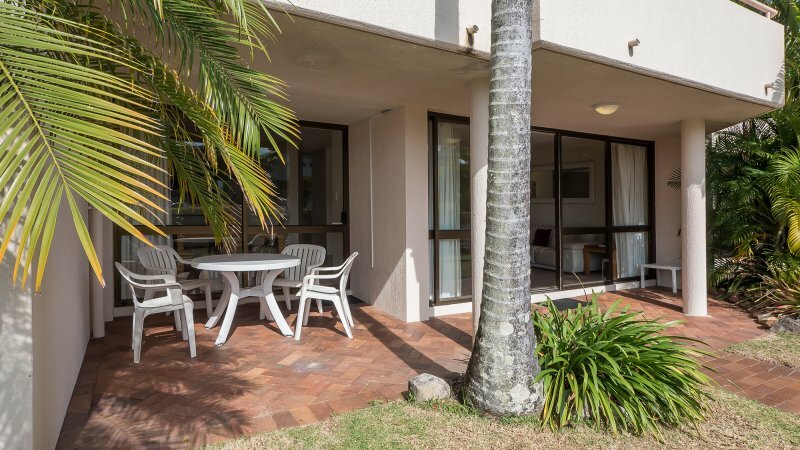 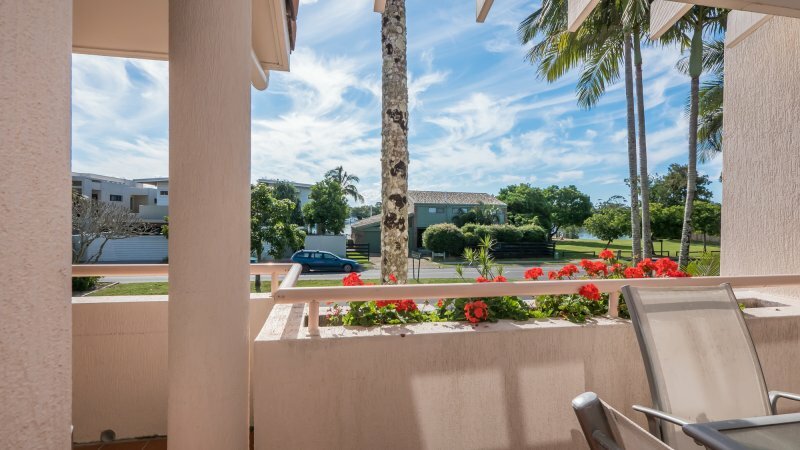 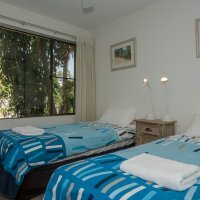 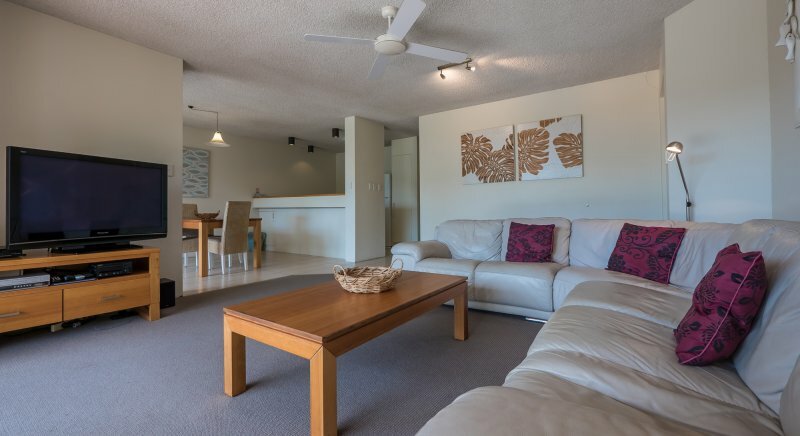 Conveniently located opposite the Noosa River, our resort is a short stroll to Hastings Street, Noosa Main Beach and nearby restaurants and cafes. 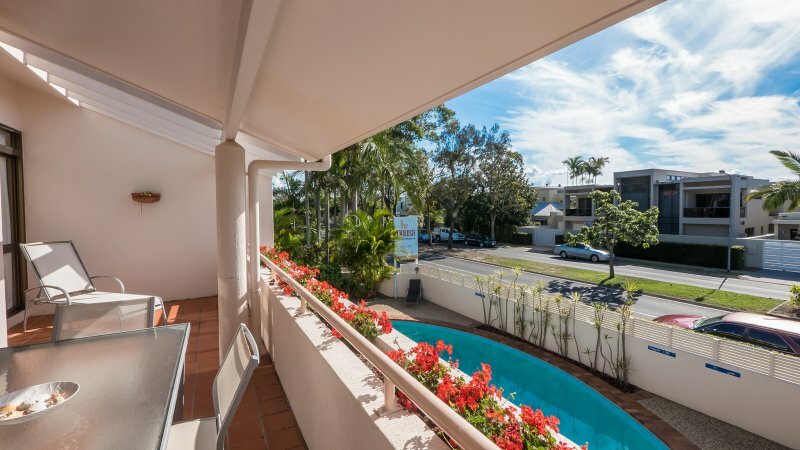 A 10 minute drive gets you to the shopping district in the Noosa Junction. 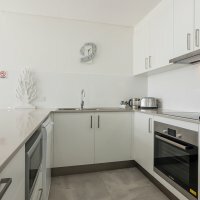 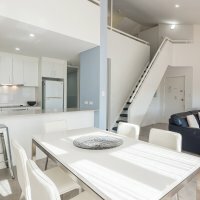 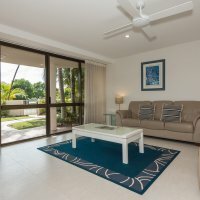 All apartments are spacious (100m² floor size), featuring open plan design with separate kitchen, dining and living area with large glass sliding doors opening to private balconies or courtyards surrounded by tropical gardens. 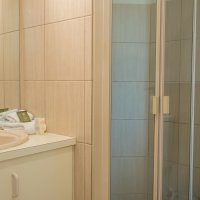 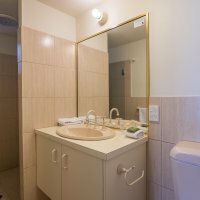 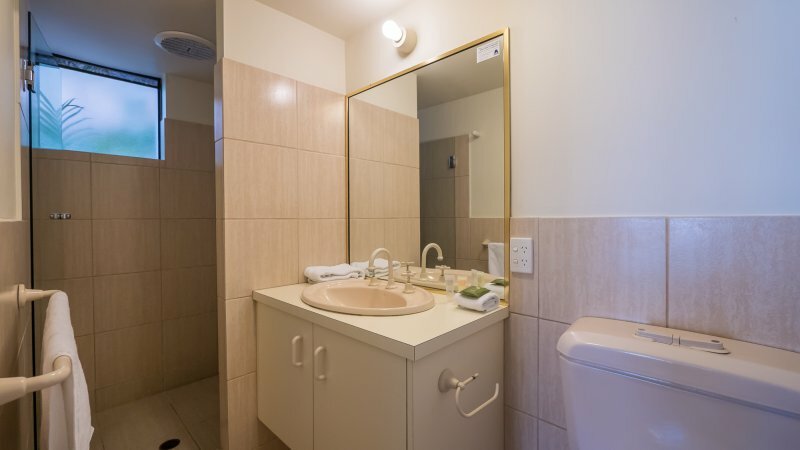 The 2 Bedroom apartments have a master bedroom with en-suite and walk-in robe, second bedroom with built-in robe with full size mirrors. 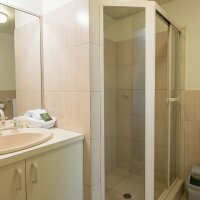 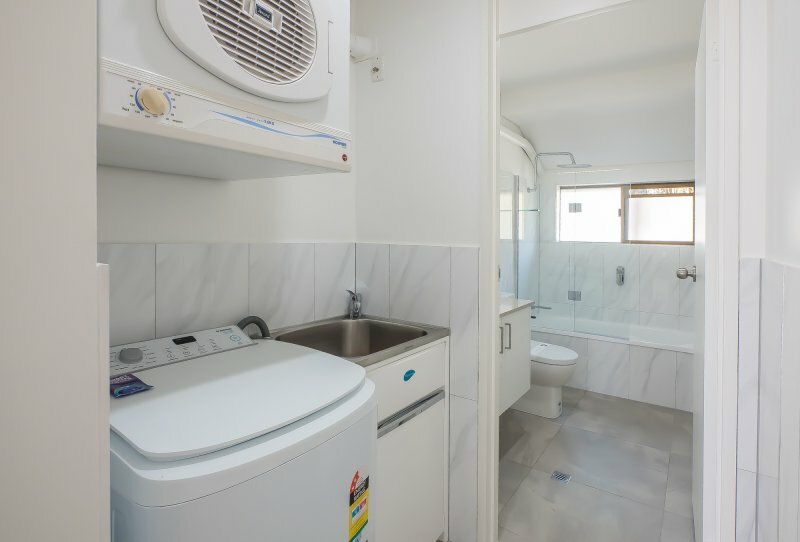 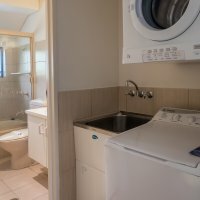 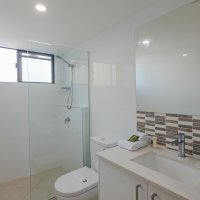 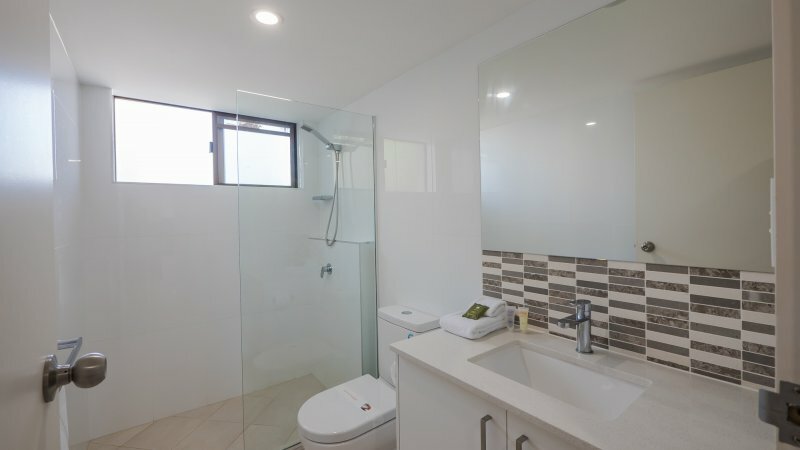 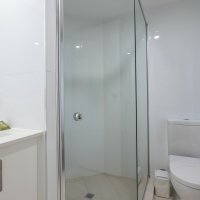 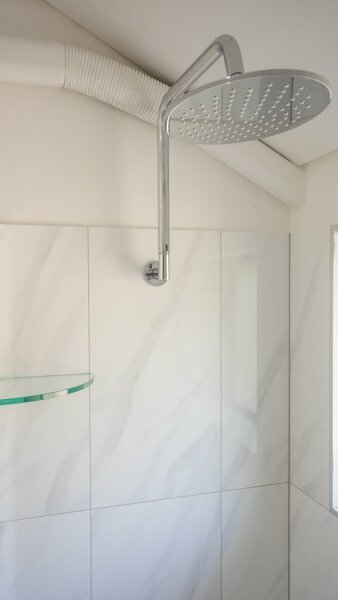 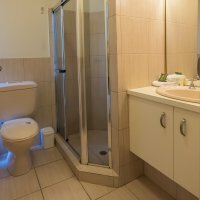 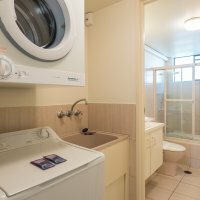 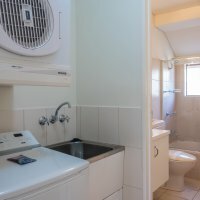 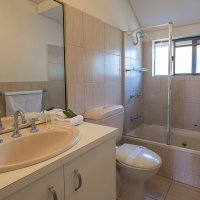 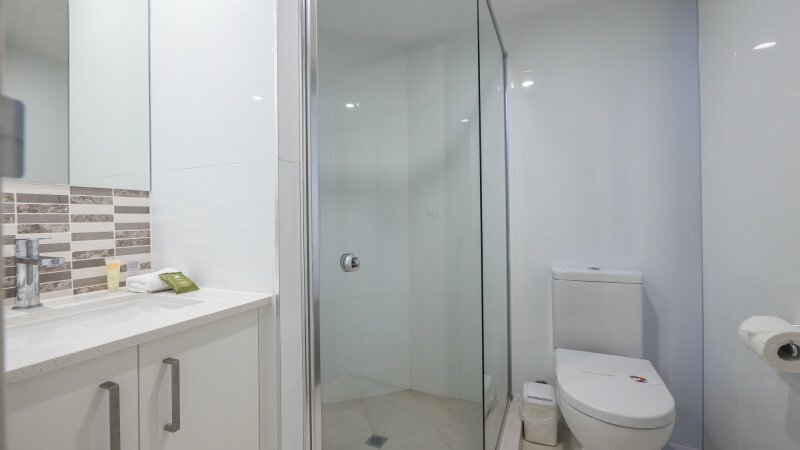 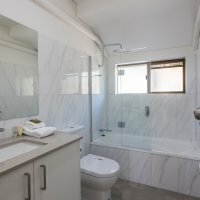 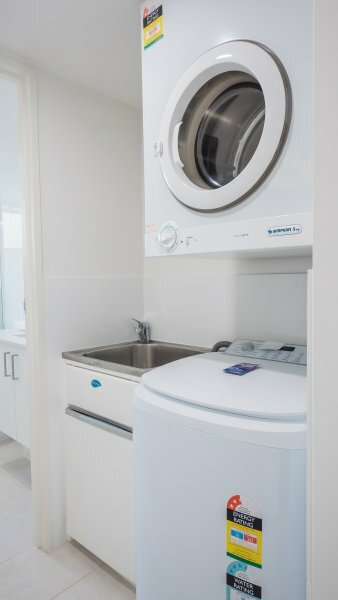 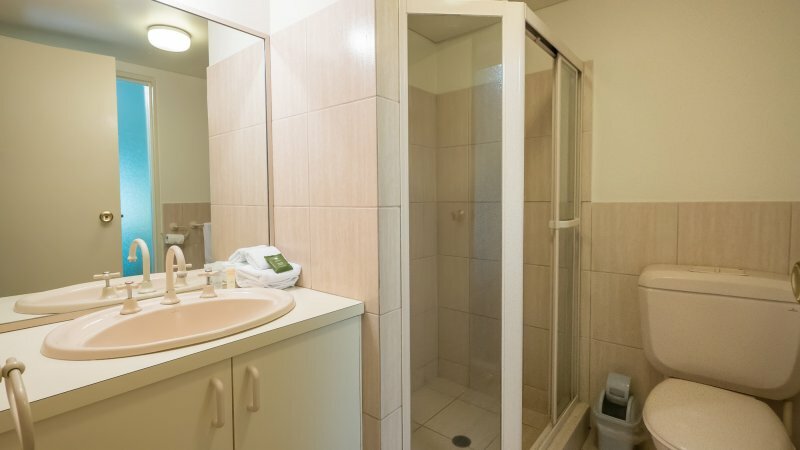 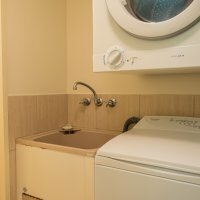 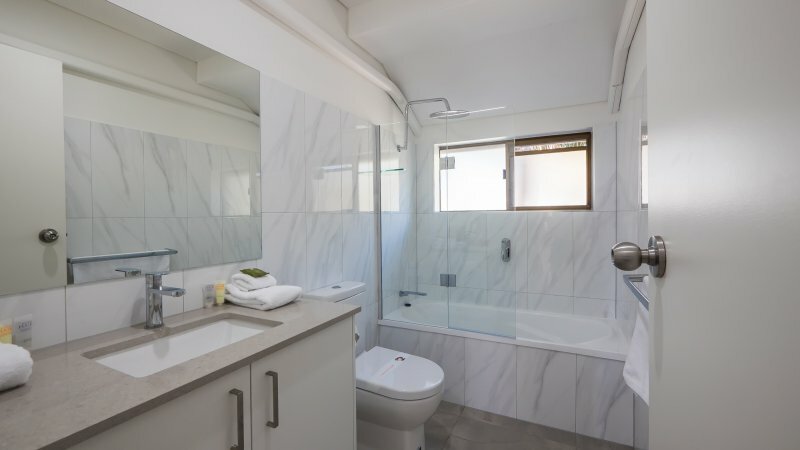 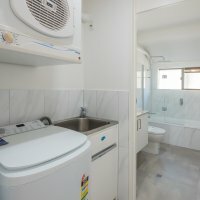 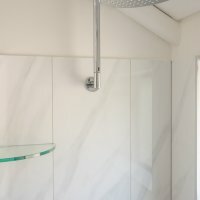 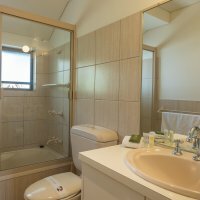 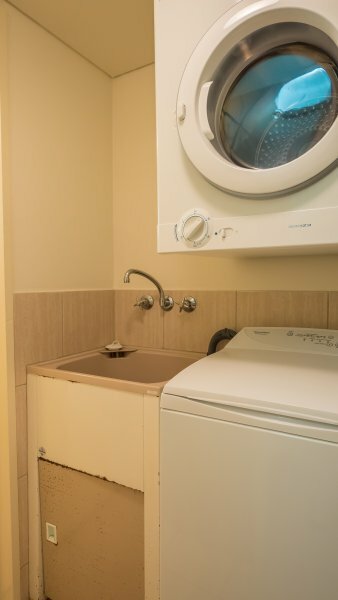 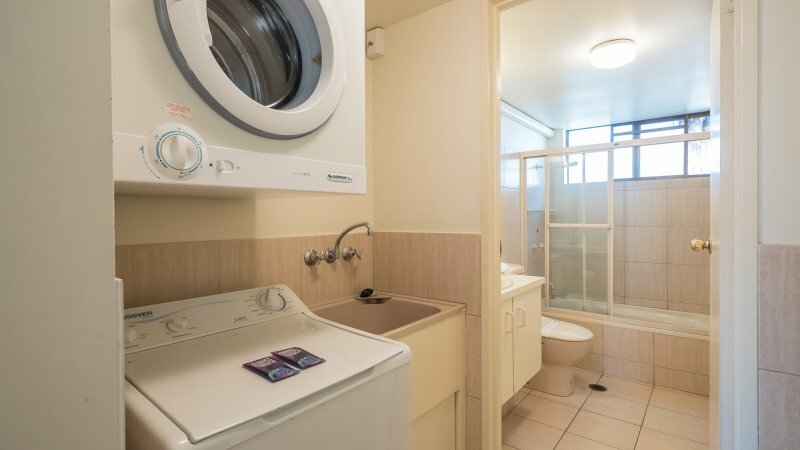 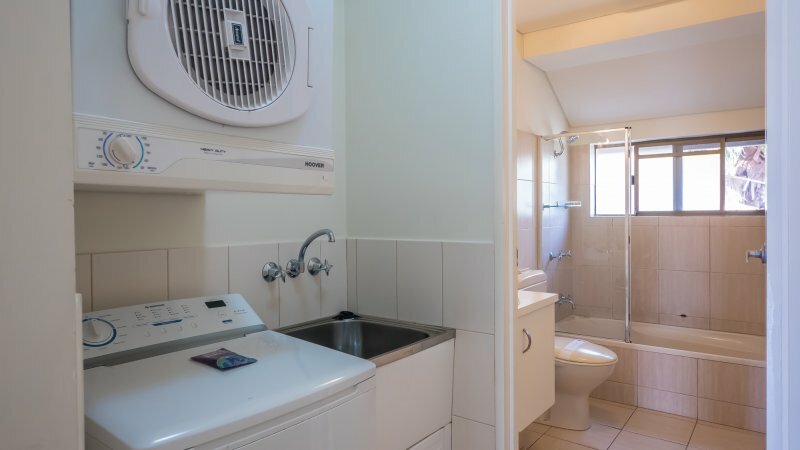 Second bathroom with separate internal laundry. 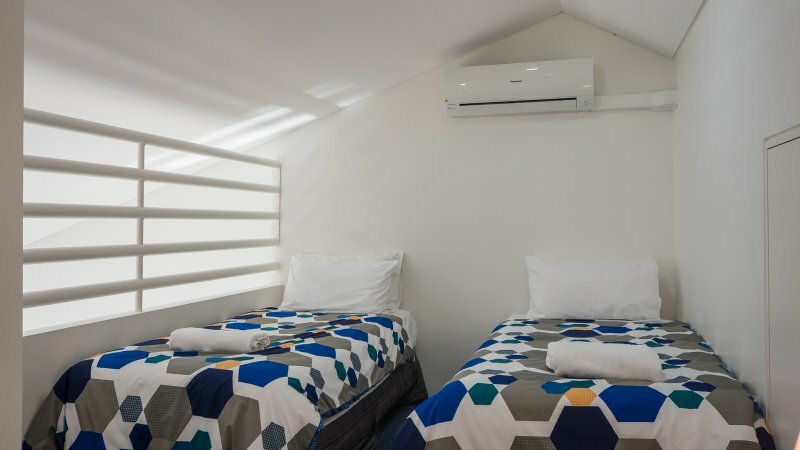 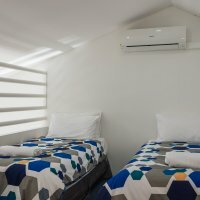 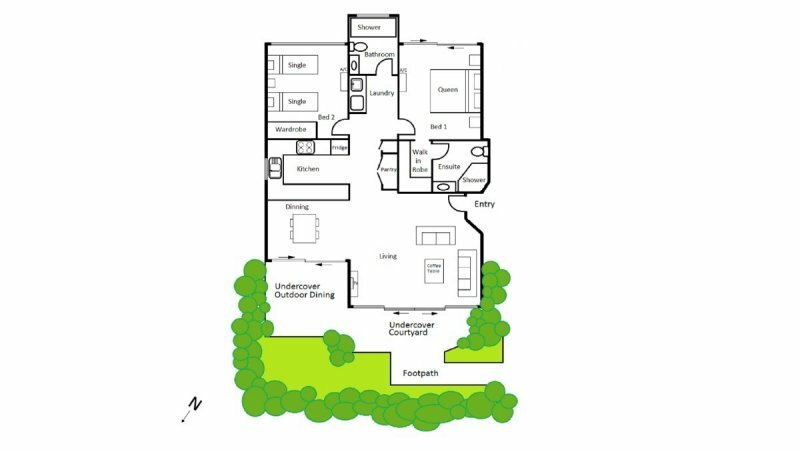 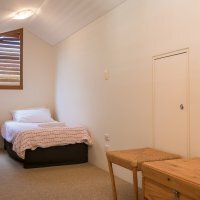 All bedrooms are located at the back of the building which shields away traffic noise. 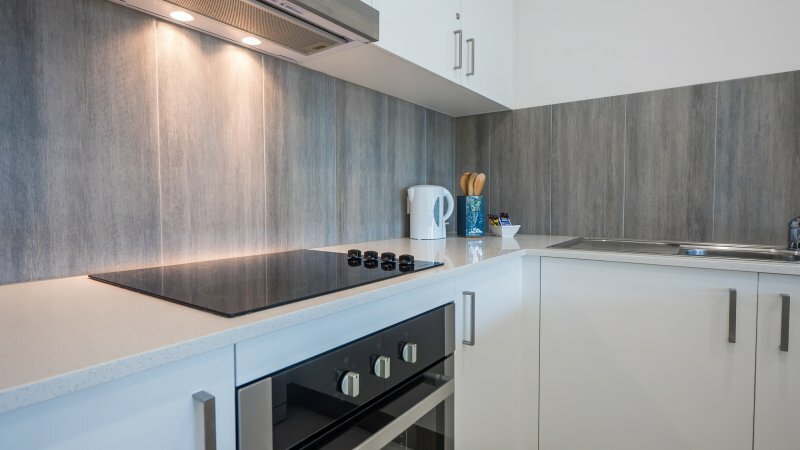 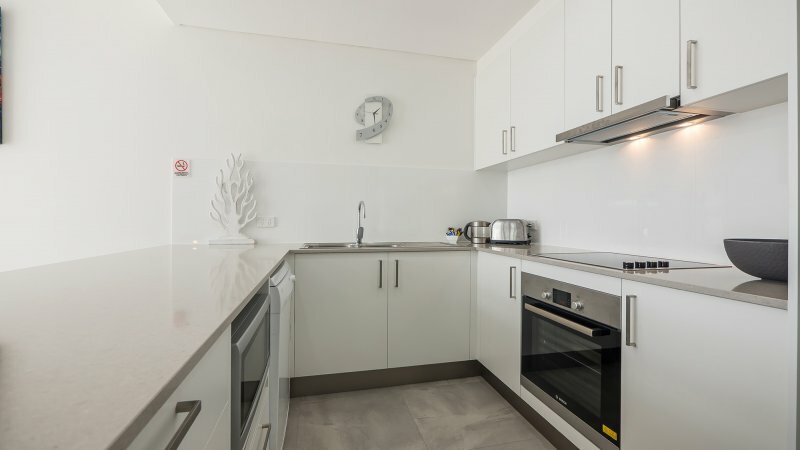 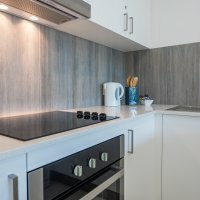 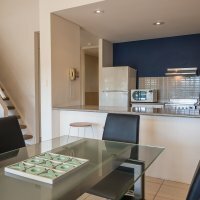 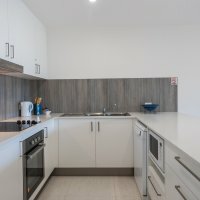 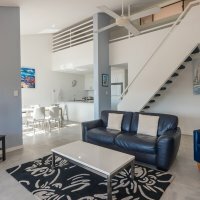 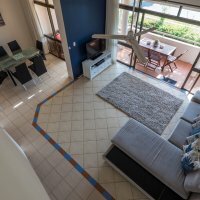 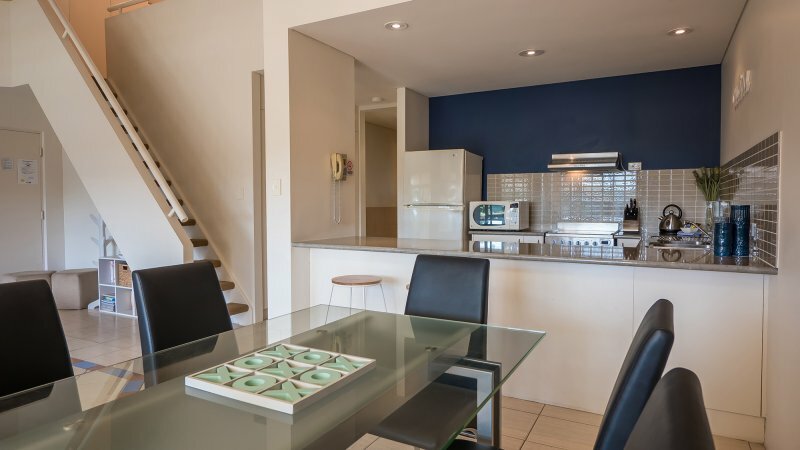 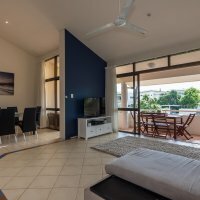 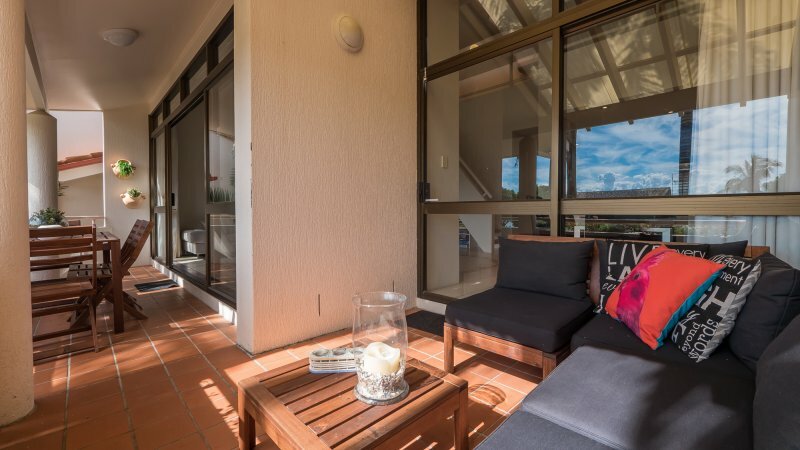 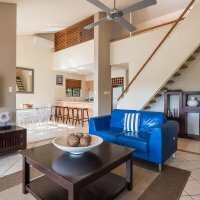 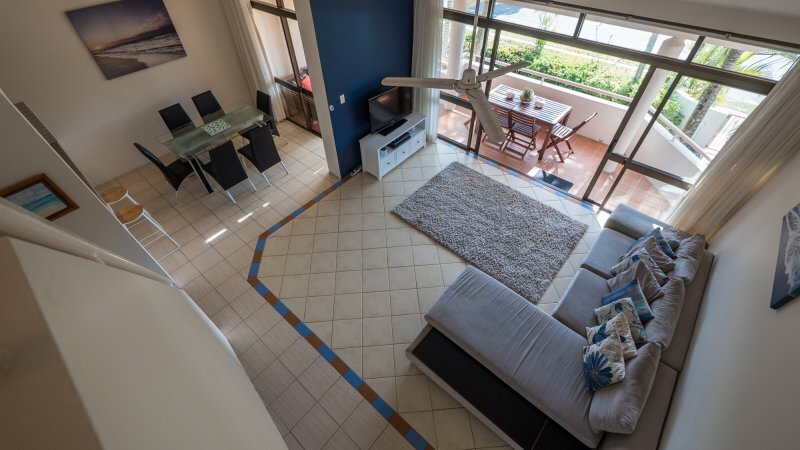 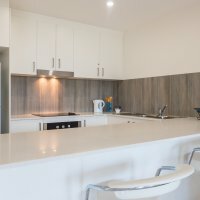 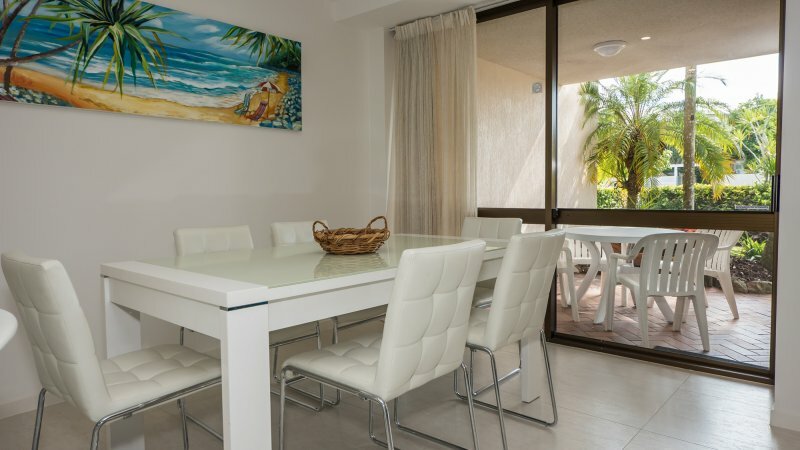 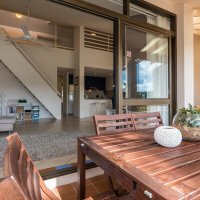 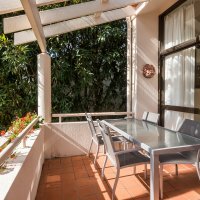 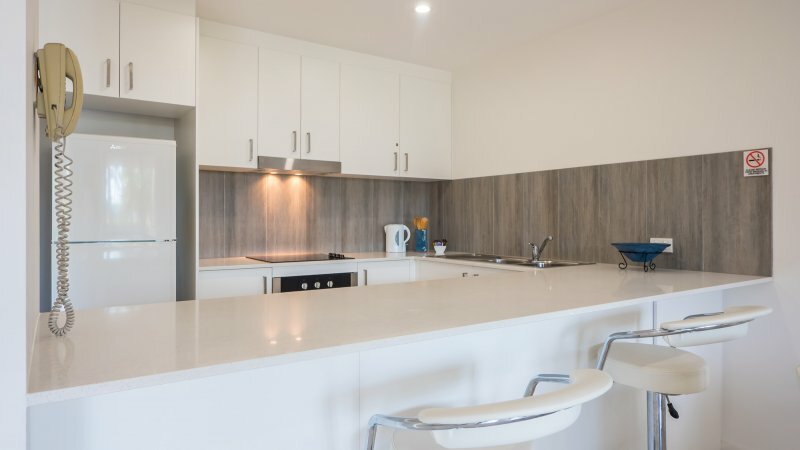 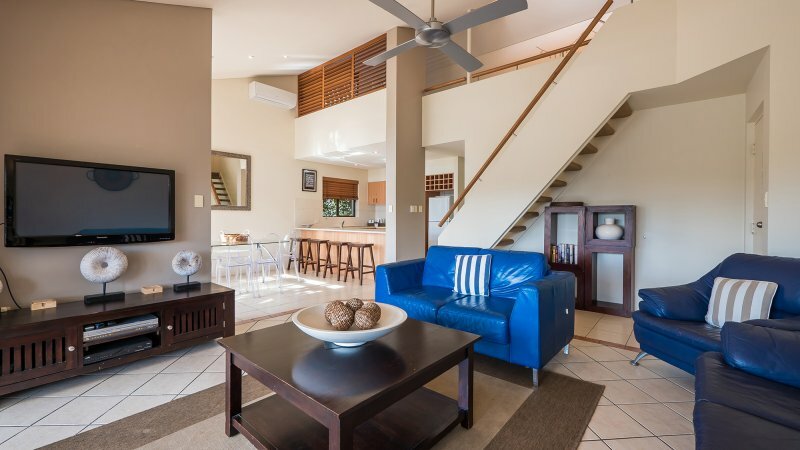 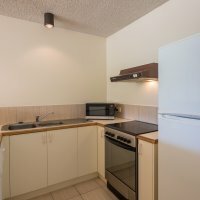 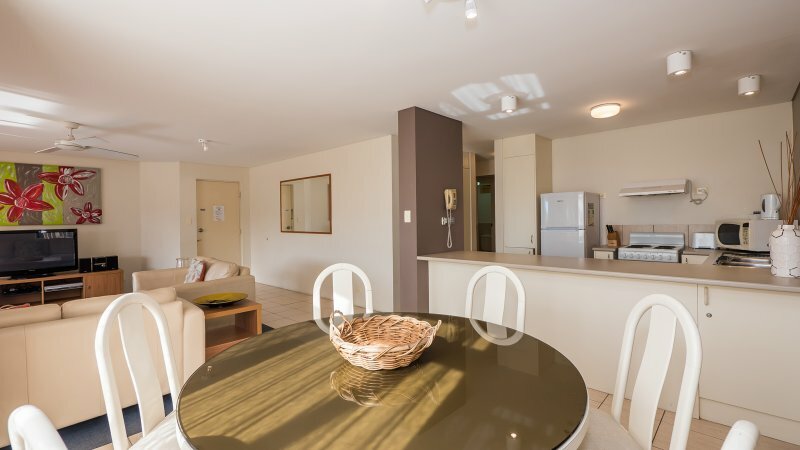 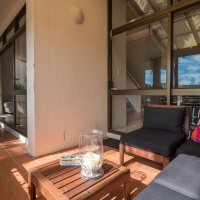 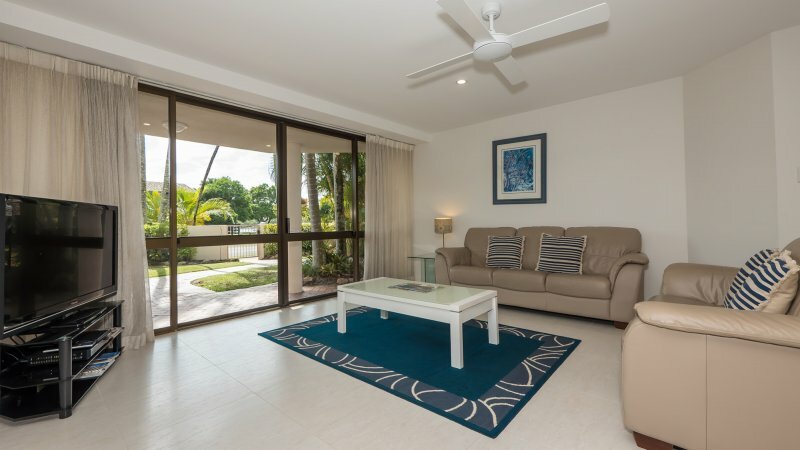 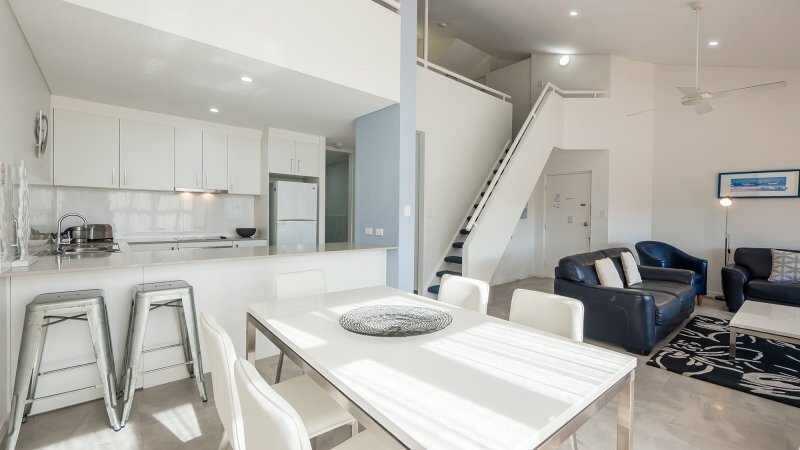 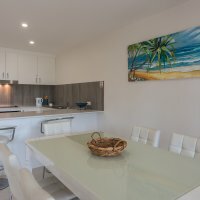 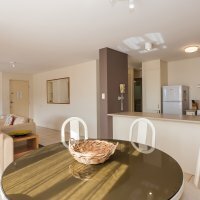 Our 3 bedroom apartments are very spacious (115m² floor size) featuring open plan design with separate kitchen, dining and living area with large glass sliding doors opening to private balconies or courtyards surrounded by tropical gardens. 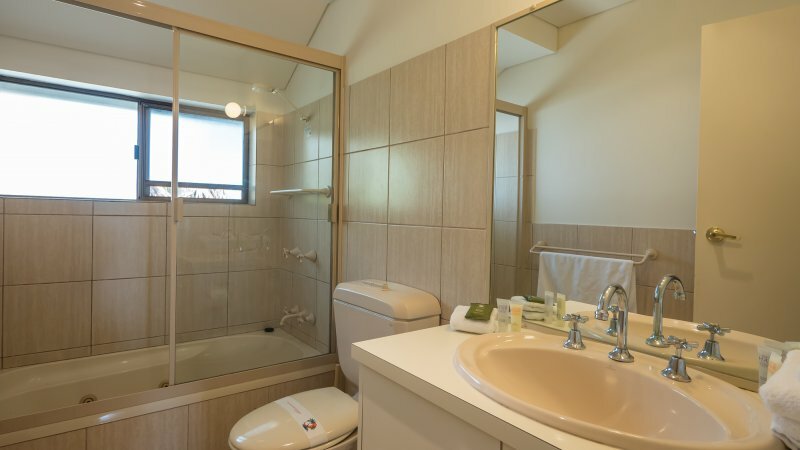 Featuring a master bedroom with en-suite and walk-in robe, second bedroom with built-in robe with full size mirrors. 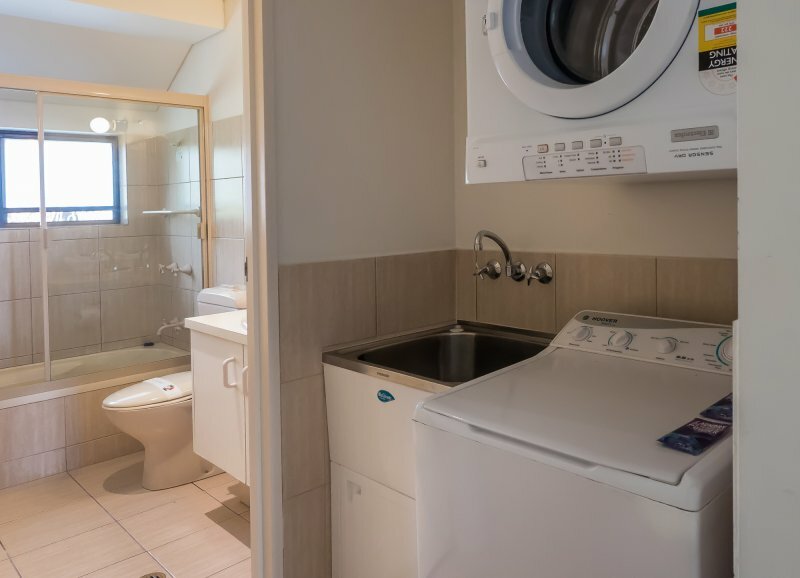 Second bathroom with separate internal laundry. 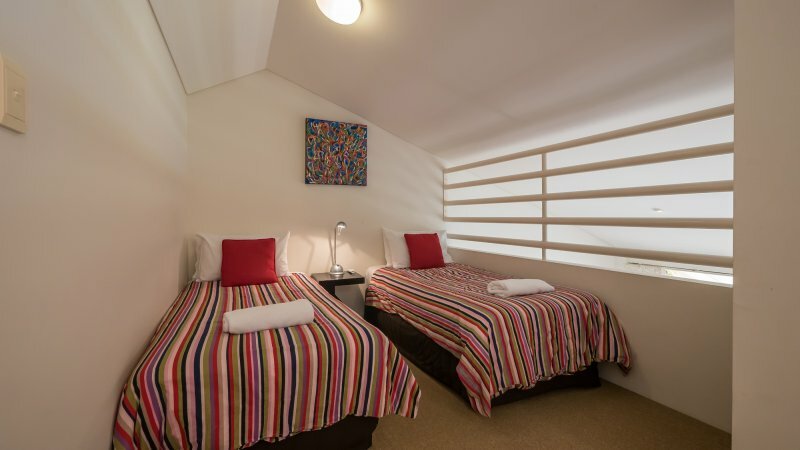 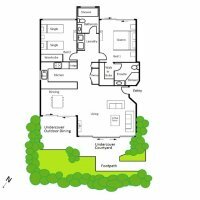 The third bedroom is located in the spacious loft area. 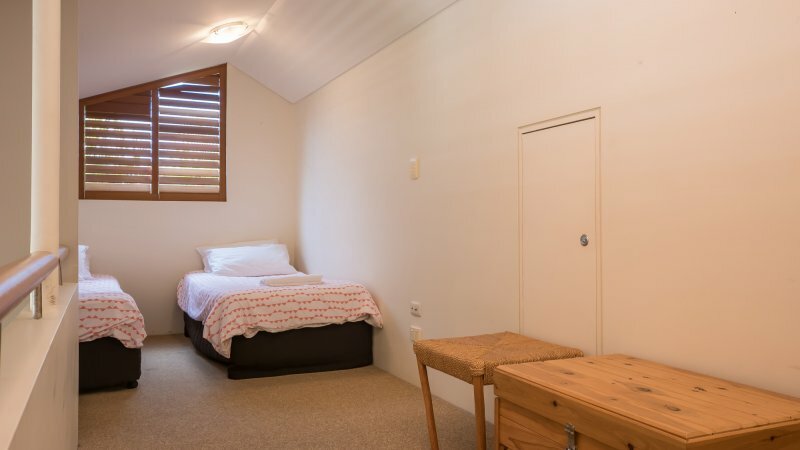 All bedrooms are located at the back of the building which shields away traffic noise.